As a small schoolgirl, I was taught to read either from left to right or from top to bottom. Skipping about was not encouraged. To whom, then, are the traffic signs addressed? Certainly not to those of us who were educated. 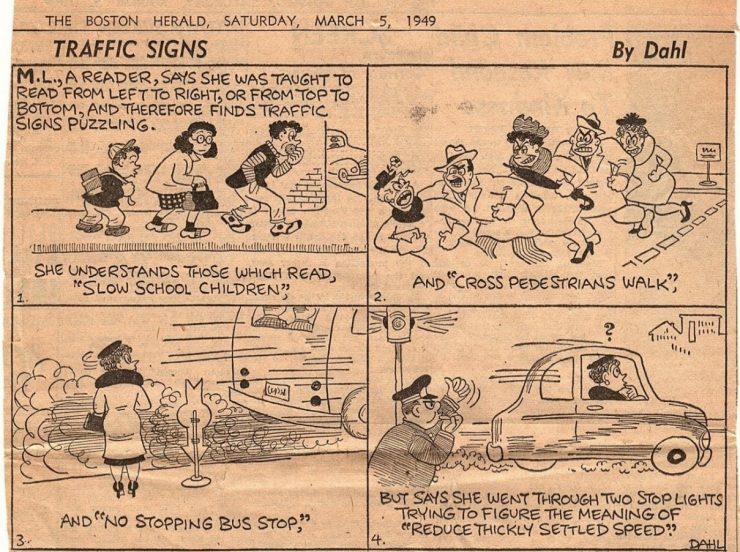 I have finally, and with difficulty, got used to small towns advertising their “Slow School Children” and “Cross Pedestrians.” But the “No Stopping Bus Stop” is still a strange idea to me, and as for the “Saddle Crossing Horse,” I certainly would hate to see one. Now, today, I have just encountered a new sign which reads “Reduce Thickly Settled Speed.” It took me through two red lights to puzzle that one out. Can’t anyone instill common sense into the makers of signs? 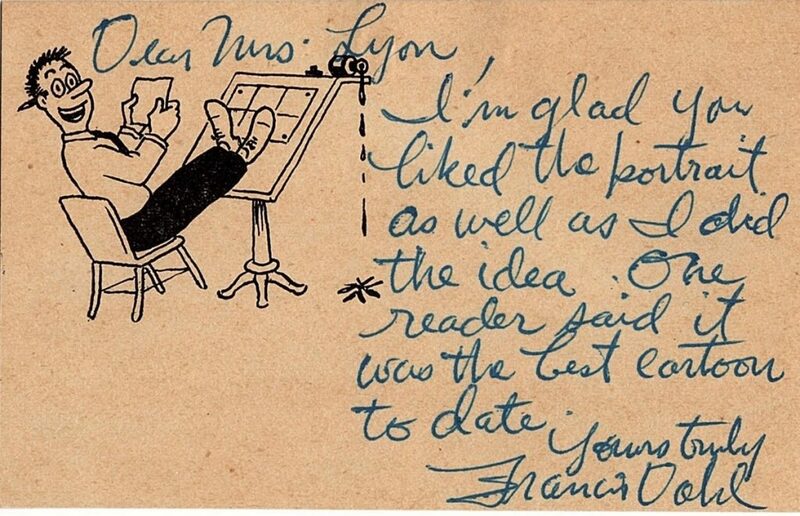 He wrote again later, “Dear Mrs. Lyon, I’m glad you liked the portrait as well as I did the idea. One reader said it was the best cartoon to date. Yours truly, Francis Dahl”.